Achieving financial security and peace of mind through financial planning so you can spend life living. 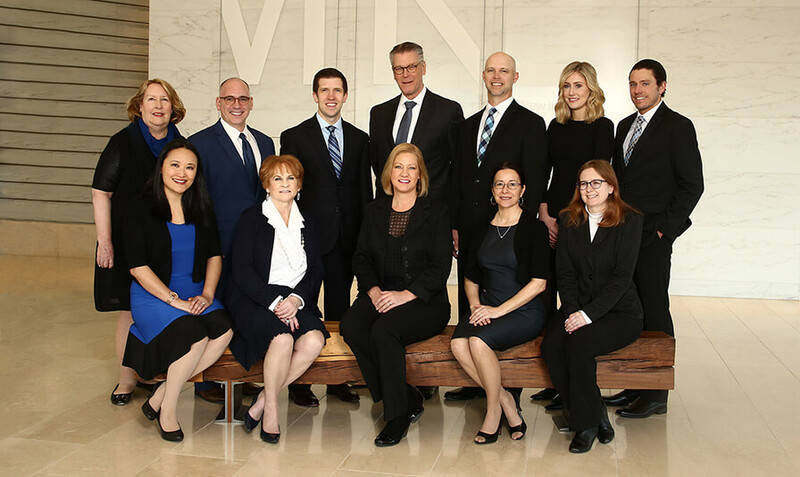 We serve at the center of our clients' financial lives, helping them achieve financial security and peace of mind through financial planning and a personal relationship. To learn more about our team members, please click on the bios below. Charlie is a graduate of the University of Milwaukee and holds his Bachelors of Arts in Economics and is a CFP®, CLU®, and RICP®. Charlie Sauer has 37 years of financial services experience at Northwestern Mutual. He is a Wealth Management Advisor in Milwaukee, Wisconsin. Charlie is nationally recognized in the “Top 50 Investment Products and Services” for Northwestern Mutual. He is a member of the Milwaukee Estate Planning Forum and a past board member of the Society of Financial Security Professionals. Charlie and his family live in Whitefish Bay and he is an avid golfer. Andy graduated from Marquette University and holds a Bachelors of Business degree in Economics and has his CFP®, CLU® and RICP® designations. Andy has been with Northwestern Mutual since 2004. He is a Wealth Management Advisor in Milwaukee, WI. Andy enjoys helping people make their dreams a reality through financial planning. He and his wife Jenny live in Whitefish Bay with their two daughters. They enjoy spending family time together, exercising, and spending time on/near the water. Darrin Englebert is a CERTIFIED FINANCIAL PLANNERTM (CFP®) professional, Wealth Management Advisor, and member of Physicians Nationwide.1 He specializes in helping physicians, dentists, successful families, and those in or nearing retirement by transforming complex financial situations into a customized financial plan. Married to a physician, Darrin is passionate about and specializes in addressing the financial planning needs of medical professionals. He has helped many successful physicians and dentists plan for and achieve their financial goals, often starting when they were residents or interns. Colleges, residency programs, and physician/dental groups frequently request Darrin to speak to their members on a variety of financial security topics. In addition, Darrin provides group and executive benefit planning for small businesses and is astute in providing detailed retirement planning for those in or nearing retirement. Darrin graduated from the University of Milwaukee-Wisconsin with a double major in Finance and Marketing. He completed his MBA from Keller Graduate School of Management. Darrin is married to Tina and together they have three children. In his spare time, he enjoys a good Sci-Fi movie, golf, exercise, traveling, and coaching baseball. 1Physicians Nationwide is a group of qualified and experienced Northwestern Mutual Financial Representatives who specialize in serving the unique financial needs of physicians. Jon is a graduate of The University of Iowa and joined Northwestern Mutual in 2015. Jon and his wife, Cecilia, live in Fox Point, with their two school-age boys. Jon enjoys the Wisconsin outdoors, spending time with his family and taking in an occasional football game. Jon has been working with clients on financial matters since 2002 and is securities registered and licensed in Life and Health Insurance. Soo Schreiber: Soo is a graduate of St. Norbert’s College and holds a Bachelor’s Degree in International Business, she also received her MBA from the University of Wisconsin Whitewater. She has been with Northwestern Mutual since 2008 and holds the CFP® designation, and Series 7/66 registrations. Soo and her husband Chip enjoy spending time with their dog and socializing with friends. She is an avid player of fantasy football and loves watching games. Jane is a graduate of the University of Wisconsin and holds a Bachelors in Science, she has been with Northwestern Mutual since 2002. Jane and her family live in Whitefish Bay and she is an avid golfer. Amy is a graduate of the University of Wisconsin Milwaukee and holds a Bachelor of Arts in Marketing. Amy has been with Northwestern Mutual since 2013 and is Series 7 and 66 registered, and life/health insurance licensed. Bonnie Jegl is a graduate of the University of Wisconsin and holds a Bachelor’s of Science and has been with Northwestern Mutual since 2006. She holds her series 7, 6 and 63 registrations and her life/health insurance licenses. She lives in Menomonee Falls with her husband and daughter. She is active in her daughter’s Girl Scout troop. Their favorite vacation is Disney World. Paulette is a graduate of Carroll University and joined Northwestern Mutual in 2013. After graduating from Carroll University with a Bachelor of Social Work, she worked as a social worker for five years. Paulette has a passion for helping others and looks forward to the many new opportunities while working with the staff and clients at Northwestern Mutual. Paulette, her husband Jim, and their 5 children live in Hales Corners, WI. In their spare time, they enjoy running and participating in local running events. Dan joined Northwestern Mutual in April 2016. He received his CERTIFIED FINANCIAL PLANNER™ (CFP®) professional certification in February 2016. Dan graduated with honors from the University of Wisconsin-Milwaukee in the spring of 2010 with a Bachelor of Business Administration, double-majoring in Finance and Marketing. He assists our team in providing comprehensive personal financial planning services including retirement planning, investment analysis and recommendations, portfolio management, and education planning. Dan resides in downtown Milwaukee and is an avid marathon runner and sports enthusiast. Megan started her career with Northwestern Mutual in August 2014. She brings with her six years of previous customer service experience with WE Energies. Megan's main focus and expertise is handling service questions, scheduling appointments, putting together marketing ideas, organizing the practice, and controlling the work flow of the team. She currently resides in Wauwatosa and spends much of her leisure time playing volleyball. Her hobbies include cooking/baking, photography, and cheering on the Kansas Jayhawks or Green Bay Packers! Virginia has been with Northwestern Mutual since 2001 at the Home Office, and previously with Baird and the Medical College of Wisconsin. She enjoys spending time with her two adult children and their families. She has two young grandchildren who have added so much enjoyment to her life, along with her dog, Lilly. Virginia is active in her church at Elmbrook and has a passion to serve there. She resides in the Franklin area. Andrew Joseph Bird , Charles Thomas Sauer and Darrin Adam Englebert use Mosaic Financial Group as a marketing name for doing business as representatives of Northwestern Mutual. Mosaic Financial Group is not a registered investment adviser, broker-dealer, insurance agency or federal savings bank. Northwestern Mutual is the marketing name for The Northwestern Mutual Life Insurance Company, Milwaukee, WI (NM) (life and disability insurance, annuities, and life insurance with long-term care benefits) and its subsidiaries. Andrew Joseph Bird , Charles Thomas Sauer and Darrin Adam Englebert are Representatives of Northwestern Mutual Wealth Management Company® (NMWMC), Milwaukee, WI (fiduciary and fee-based financial planning services), a subsidiary of NM and limited purpose federal savings bank. All NMWMC products and services are offered only by properly credentialed Representatives who operate from agency offices of NMWMC. Andrew Joseph Bird , Charles Thomas Sauer and Darrin Adam Englebert are Agents of Northwestern Long Term Care Insurance Company, Milwaukee, WI, (long-term care insurance) a subsidiary of NM. Andrew Joseph Bird , Charles Thomas Sauer and Darrin Adam Englebert are Registered Representatives of Northwestern Mutual Investment Services, LLC (NMIS) (securities), a subsidiary of NM, registered investment adviser, broker-dealer and member FINRA (finra.org) and SIPC (sipc.org). Andrew Joseph Bird , Charles Thomas Sauer and Darrin Adam Englebert are Insurance Agents of NM. Andrew Joseph Bird , Charles Thomas Sauer and Darrin Adam Englebert are primarily licensed in WI and may be licensed in other states.